The negligent driver in a Nissan 350Z turned left in front of the plaintiff who was seven months pregnant. The plaintiff was hospitalized due to her injuries and due to complications with her pregnancy. Her baby was delivered via c-section 12 days after the auto accident. The baby was delivered but was unresponsive. Sadly the baby died one month later while in the ICU. 3. the company the negligent driver was working for alleging the negligent driver was driving for the benefit of the company. The judge granted a motion to dismiss the negligent entrustment case, but allowed the case to continue against the negligent driver and his employer. The jury found that the defendants were liability for all of the damages and awarded this 3 million plus jury verdict in Savannah, Georgia. 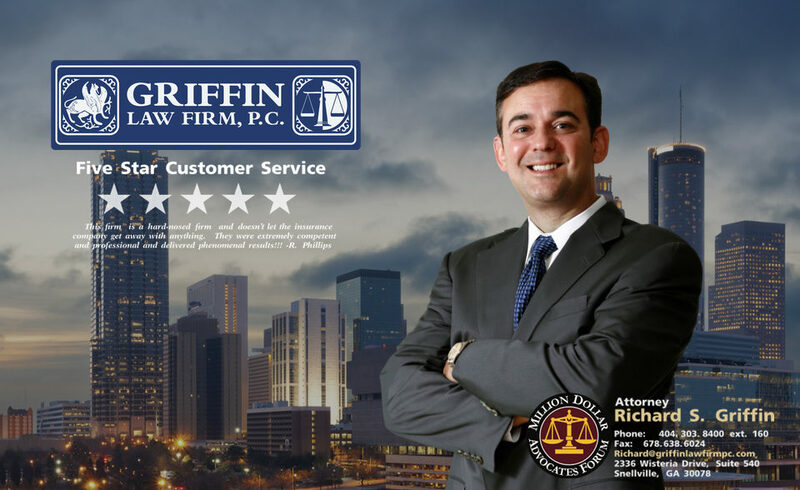 Wrongful death attorney Richard Griffin of the Griffin Law Firm carefully follows personal injury and wrongful death claims tried in Atlanta and throughout Georgia. Jury verdict research helps us stay on top of the trends with regards to the value of personal injury and wrongful death claims. Great recoveries don’t happen by accident, but are the result of the hard work of skilled lawyers. If you or someone you knows would like to discuss your personal injury claim call us today or send us a case evaluation form with the facts of your case. We will gladly answer your legal questions and let you know what the likely value of your claim is.